Ella Reynolds knew from the first moment she walked into the old house someone or something was watching her. Waiting. Her husband's violent murder sent her spiraling into a world of grief and isolation, but Ella isn't alone. Who or what is responsible for her husband's death is still with her. Darkness has engulfed the past year of Ella's life. Everyday reality slips a little more between her fingers as she struggles to break free from her memories. She must look deeper into her past as well as the present to discover truth of her husband's homicide. A string of uncanny events takes place and practical explanations run thin as Ella follows the terrifying road to closure. As the past and present come to a head, Ella must decipher who or what the murderer is before it takes her as well. - I pride myself in being able to pick apart a plot and figure out the twists before they happen. I can no longer claim that to be true. Liz's writing pulled me in hook line and sinker. I was quickly immersed in to this world right along with the characters and followed every mesmerizing word and went right down the path Liz lead me. There were so many times I thought I had it all figured out, only to be shocked when I was wrong. This is hands down one of the best suspense thrillers I've read in a very long time. It kept me guessing and at the edge of my seat. If you haven't read this book yet, you're missing out. 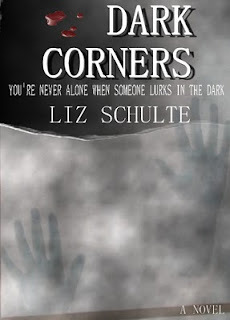 -I could not put this book down, even though I was terrified the whole time I read it! I had chills reading this book and I swear I suspected everyone but the right person. Liz did a great job keeping the intensity going in this book and the descriptions maybe me feel like I was on the crazy train with Ella! - I could not put this book down. It was suspenseful, interesting and sometimes just creepy. I had to stop myself from jumping to the end of the book to know what happens. Everyone is a suspect, which makes it even more intense as you read through the book. You second guess everybody and everything. The story keeps you on your toes as it winds through the story about Ella and all the crazy things happening to her as she tries to uncover the mystery of her husband's death. I love when a book ends and you feel completely satisfied with the conclusion and the characters linger with you well after you have finished the story. This is exactly how it was with Dark Corners. Highly recommend! Thanks, Liz. I got my copy. Wishing you every success with the novel and with all of your writing. Cheers! Thanks, Liz- the reviews are amazing! 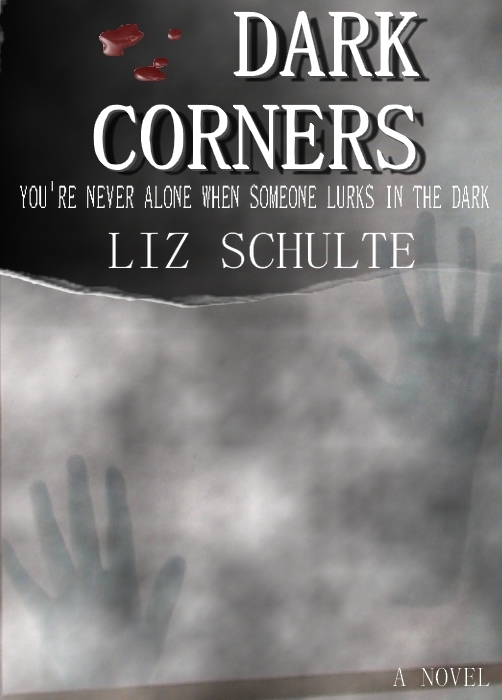 Just finished "Dark Corners". Fantastic book. Great and easy read. Great story line and ending. Thanks for a great story. There were a few missing words and "desert" was used instead of dessert. (I like to proofread.) I would like to discuss the book with you, but tonight I am still digesting all the twists and turns you provided in the plot. Thanks for writing this book.